Active for nearly 15 years, Riverboat Gamblers play on their sixth studio album once again a healthy mix of punk, grunge and rock’n’roll... A fair share of true rockers, like the exquisite “Comedians” and “Bite my tongue” make it next to impossible to sit still. But there is also a melancholy side to the band, as can be heard on “Gallows bird”.. Some tracks like “Heart conditions” and “Loser neck” are quite catchy and would be ideal to be released as singles. 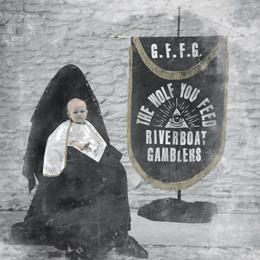 Fans of Riverboat Gamblers will certainly not be disappointed by The Wolf You Feed, and maybe the Austin five some even manage to attract some new fans that are otherwise more into punk music.